In a multi-faceted transaction, FTK Development (Business Central) and Lewis-Pipgras jointly acquired 101 Parkshore Drive in Folsom, California, a two-story, Class A office building located in Lake Forest Tech Center. 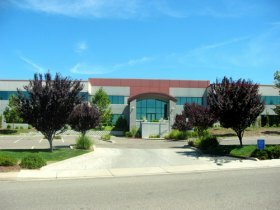 The owners invested $1.5 million to reposition the single-tenant building for Business Central in order to create a unique turnkey and flexible multi-tenant building marketed to tenants from 200 up to 3000 square feet. The 55,614 square foot office building built in 1999 sold for $8.44 million, about $152 per square foot. At the time of sale, the building was 100% leased to Agilent Technologies who had vacated the property. Business Central has signed a sublease agreement with Agilent for 67 months, the remaining term on their lease. In addition, Business Central leased the entire building for another 53 months to complete a full ten-year term.